AI has slowly begun to integrate into our current healthcare systems in order to help eliminate confusion. With companies like Amazon who believe eliminating the middleman is one solution or companies like Walmart who want to provide local access and cheaper prescriptions, everyone has an opinion on how to help fix the chaos of our current system. Some health providers are now turning towards cloud features in order to help manage someone’s health records, such as Microsoft. 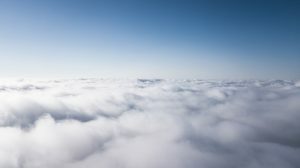 We have seen over the last few months that many cloud vendors have stepped into the market hoping to help improve quality, decrease workload and create better outcomes. How exactly will the cloud system affect our current health market? Today, we will take a dive down the cloud vendor’s idea for a better healthcare management. The cloud is changing the way health providers deliver easy and quality service to their patients. With the struggle of always trying to offer inexpensive services, more and more healthcare providers look toward technology like the cloud system. Competing with the accessibility of other services like financial institutions and online retailers, health delivery is sub-par. Patients are also looking to access everything online to decrease the need for driving to hospitals to simply request the information, which can take several days. As healthcare providers continue to try to serve their consumers as best as possible we see the cloud as a move towards the right direction. The cloud provides solutions to public/private services by being a secure easy access online storage systems. The cloud also makes it easier for physicians to collaborate together. This is possible through video conferencing delivering expertise and new ideas in seconds. You can also save large data files previously a challenge due to the cost of in-house storage. Cloud solutions also allow telemedicine capabilities, such as consultations, telesurgeries, and being able to monitor patients from over the phone. The cloud system continue’s to improve as the years pass by. We can expect to have access to our data more conveniently.